Professional Las Vegas tile and grout cleaning is the number one way to get the floors in your home clean and sanitary. Every day activities such as cooking and cleaning, along with foot traffic all add to the ways dirt and debris can wind up on your floor and embedded into your grout. What most people don’t realize is that mopping is also a culprit. Think about it… mops are made of a material intended to absorb liquid. You absorb your cleaning solution, usually in a bucket, with the mop, wring it out, and then place it on your floor to begin your “cleaning” process. But then, you place the dirty mop back in the bucket, wring it out again, and then repeat this process. Each time this is done, you are “cleaning” your floor with dirtier and dirtier water. This dirt is dissolved by the cleaning solution, and then dispersed between the bucket of dirty water, the mop, the tile and the grout. So much for cleaning! Our Las Vegas tile cleaning company uses high-powered equipment and tools that are specially designed to restore your floors to their original condition. The process that we use first starts with an assessment. The type of flooring you have in your home will first help us to determine the type of cleaner that must be used. Natural stones such as marble, travertine, slate, etc. cannot withstand an acidic based cleaner, whereas porcelain and ceramic are durable enough to undergo a cleaning with such. The frequency of needing tile and grout cleaned depends on your day-to-day activities. If you use your stove-top regularly, have heavy foot-traffic, have pets, kids, etc., you will more than likely need Las Vegas grout cleaning done more often than someone who doesn’t do or have the above. After most furniture is moved, we are ready to begin. Vacuuming must be done to pick up all loose debris, and then the determined chemical is applied evenly on the tile and grout surface. To get the best clean, it is ideal to let the chemical sit on the tile and grout for at least 30 minutes to allow it to break up any grease or dirt. Depending on the condition of the surface, tile brushes and/or power scrubbers are used for the actual cleaning. Then, a tile spinner is used throughout to add an extra level of cleaning and also rinse and extract dirty water. After the tile spinner has removed the majority of the water, it is best to allow the surface to air dry. If the customer is interested in grout sealing, it is then applied. Sealant takes a full 24 to 48 hours to cure, but foot traffic may begin after 4 hours. The cleaning process, from start to finish (not including drying time), usually takes 2-3 hours per 1,000 square feet. Drying time will be dependent on the temperature inside the home and the humidity levels in the area. All chemicals that we use are pet friendly AND environmentally friendly. 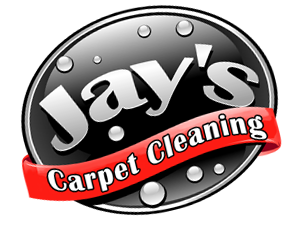 We take pride in the work we do for our customers and look to gain your business with our honesty and great service. Call us today to learn more about our Las Vegas tile and grout cleaning services.